DETROIT - July 23, 2017 - PRLog -- Gospel recording artist Carl B. Phillips will be appearing at the 50th Annual Gospel Music Workshop of America Convention on Wednesday July 26, 2017 in Atlanta GA.
Carl will start the day at 9:00 am, by presenting the soul stirring original selection "Fresh Anointing", from his debut cd "Great Rain", during the New Music Seminar of GMWA. Out of over 300 songs submitted, Carl is honored that he has an opportunity to share this timeless song to an audience in search of the next great gospel song to present to their music ministry. Sheet music for "Fresh Anointing" will be available at the convention and also available for online purchase through Carl's website. At 2pm, Carl will be appearing during the New Artist Showcase, sharing a rousing rendition of his latest single "Meeting In The Air". The 3rd single from his latest cd, is one of two songs by Carl that have appeared on the Nielsen / BDS Top-500 Gospel Singles Chart, in addition to being nominated for a Detroit Music Award. Another highlight of Carl's appearance at GMWA will be the release of a live performance video of Carl B. Phillips and Friends performing songs from the cd "Great Rain". The video includes the 3 radio singles, "Meeting In The Air", "I Know What God Did Last Summer" and "Great Rain". Other songs included are "Fresh Anointing" and "God Dwells In Praise". The individual songs and the full-length videos will all be available for viewing on Carl's YouTube Channel. Carl is excited about the opportunities to share his music during GMWA, which has a rich history of gospel music and has been the birthplace and proven grounds for many of today's top gospel artist. 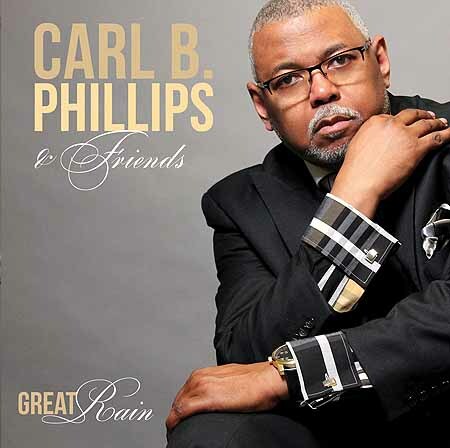 Carl B. Phillips and Friends cd "Great Rain" is available on all digital outlets and through Carl's website. Also Carl's music can be streamed on Pandora, Spotify, and Apple Music.